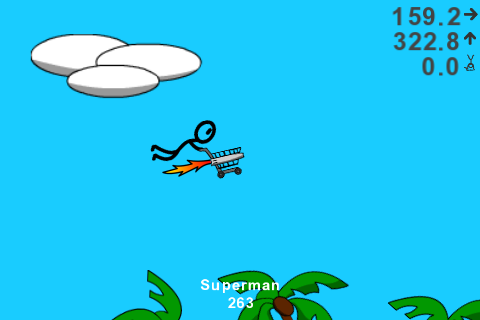 Shopping Cart Hero comes to your iPhone and iPod touch as an addicting jumper thats perfect for any free moment. 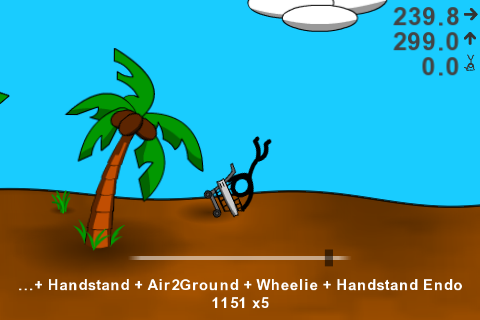 Jump your cart and perform tricks to earn massive points for ultimate fame! Upgrade your cart to find new abilities and tricks. Combine tricks to make combos for more points. Use your skills to defeat the evil boss monsters! Online leaderboards let you compare your best jumps with the world, or just your friends. Upload your best jump replays online to share with your friends! 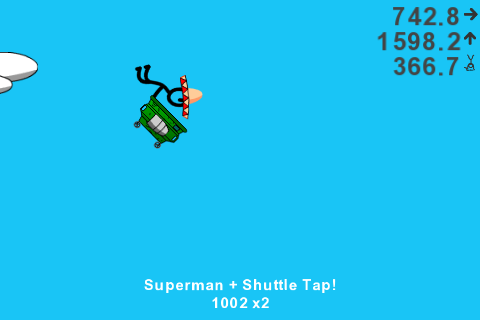 - Cart Upgrades: Wheels, rockets, & more. - Trick Combos: Go big or go home. - Hidden Tricks: Find them all. - Online Leaderboards: Do you stack up? - Friends List: Challenge your friends. 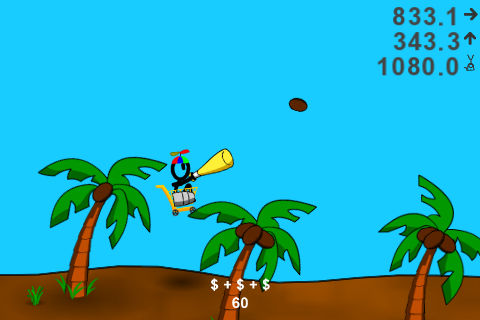 - Online Replays: See how the best jump. 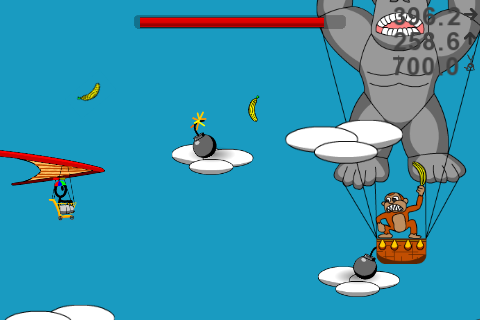 - Two Boss Fights: Save the world!